We cover all aspects of fishing- specializing in fly fishing, including dry fly fishing, nymphing, streamers, and the dry dropper. Spinning rod techniques are also taught and used if so desired by the client. Guide Nick Jackson is courteous, professional, and patient with the ability to adapt to any skill level from beginner to experience. For those looking to develop lasting fly fishing skills, Nick recommends continuing to book throughout the season/years. 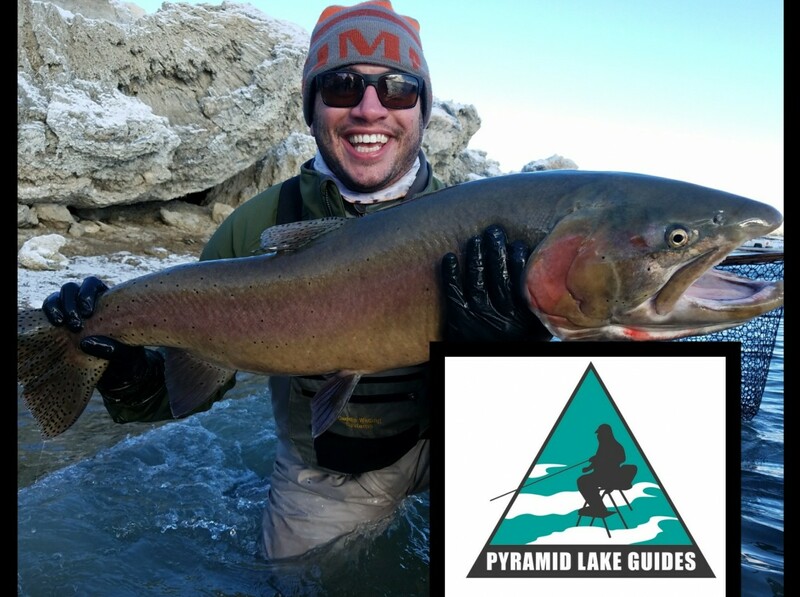 With each visit Nick will develop a workshop specific to your needs with an emphasis on progression and personal skill level of fly fishing, picking up where you left off during your last Pyramid Lake trip. Nick is also known for giving lots of DIY advice for Pyramid Lake for future visits. All fishing gear, flies, rods, ladders, and lures provided. Bring your own waders, wading boots, and weather appropriate clothing. Lunch, morning coffee, water, and soda provided. Hand warmers are also provided. Fishing is typically done from shore and from ladders with seats to elevate you from the cold alkaline lake and crashing waves. Best fishing times are when the weather is at it’s worst. 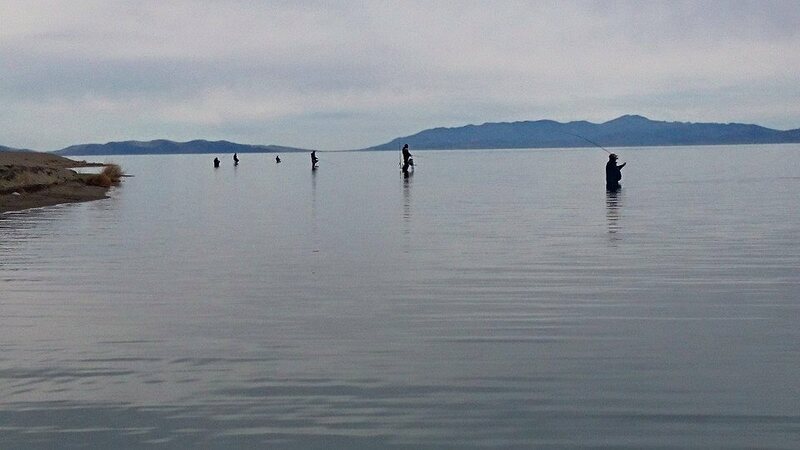 During the coldest months the fish head down to deeper, warmer water so the fishing is a bit more challenging. Our favorite months to fish are mid November through Early March. Guided Day Trip: $375 full day- one or two anglers, $75 more per person, $275 half day (lunch not included on 1/2 days). Clinics/Lessons: $150 per person- three person minimum. Lunch included.